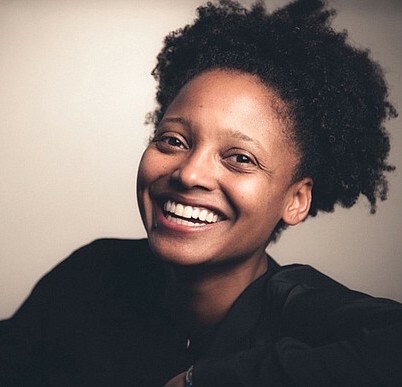 Tracy K. Smith is the author of four collections of poetry: Wade in the Water (Graywolf Press, 2018); Life on Mars (Graywolf, 2011), winner of the 2012 Pulitzer Prize for Poetry; Duende (Graywolf, 2007), winner of the 2006 James Laughlin Award of the Academy of American Poets; and The Body’s Question (Graywolf, 2003), winner of the 2002 Cave Canem Poetry Prize. Her work has appeared in journals and anthologies such as Callaloo, The Nebraska Review, Gulf Coast, Columbia, Poetry Daily, Poetry 30, and elsewhere. She was a Stegner Fellow in Poetry at Standford University, and is a recipient of a 2004 Rona Jaffe Writers Award, and 2005 Whiting Writer’s Prize, and the Academy of American Poets fellowship in 2014. Her memoir, Ordinary Light, was published by Alfred A. Knopf in 2015. She is Roger S. Berlind Professor of the Humanities and director and professor of creating writing at Princeton University and current poet laureate of the United States.